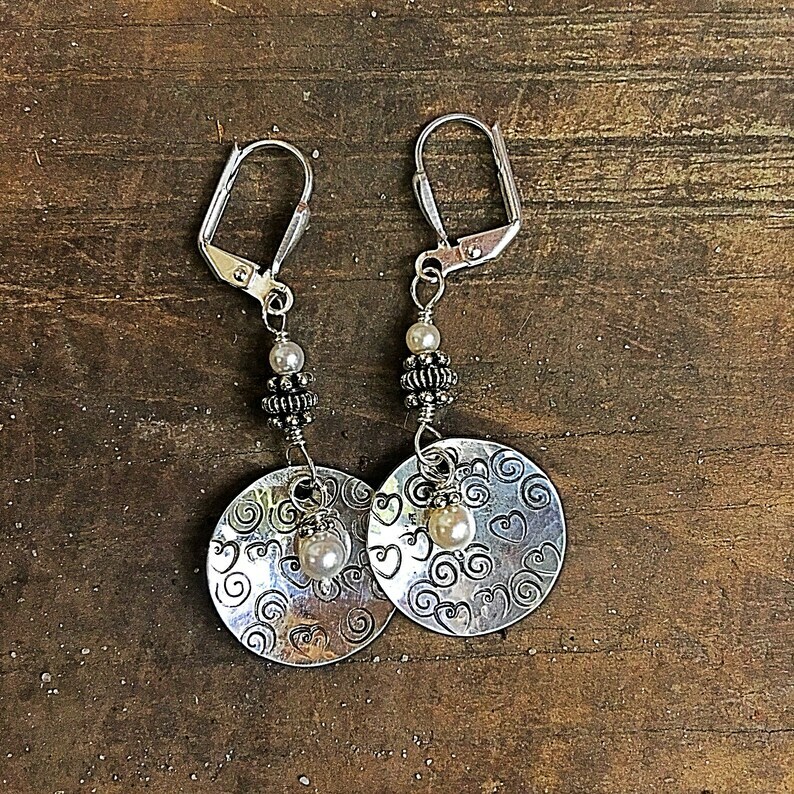 These earrings are composed of hand-hammered 3\/4" sterling silver discs Hand stamped with spirals and hearts This gives them a unique texture. The discs are inverted like tiny bowls and cup a dangling pearls. The discs are suspended from a small stack of silver beads and tiny pearls. 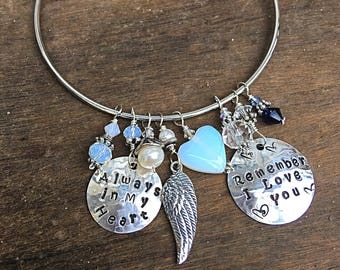 The components are hand-linked in place with sterling silver wire. Each earring finishes with silver lever back hooks. They a jingly-delightful.